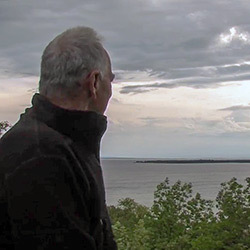 Michigan's newest Scenic Byway and maybe its most beautiful starts in St. Ignace and travels west to Thompson all along the top of Lake Michigan. We have collected information and web links related to the area and combined them here with video clips from the show and photo galleries that we took in what we hope will be a helpful guide as you plan your trip. Feel free to select only one or two activities per day according to your family’s interests. For assistance or for more information, call the Manistique Tourism Bureau @ (800) 342-4282. Have fun! 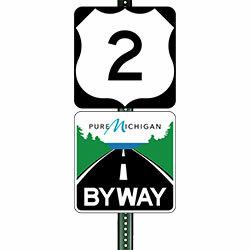 Part of US Highway 2 is the newest highway segment to be designated a Pure Michigan Byway under the state's rebranded byway program. The US-2 Top of the Lake Byway runs 92 miles from St. Ignace to Thompson, hugging the picturesque northern shoreline of Lake Michigan. It was chosen for the designation based on its outstanding recreational and scenic qualities. Castle Rock is considered to be one of the oldest lookout points near St. Ignace and was known as "Pontiac's Lookout" by the Ojibwa Tribe. It rises an astonishing 195 feet above water level offering a scenic and inspiring view for up to 20 miles, featuring Mackinac Island, Lake Huron, downtown St. Ignace and wildlife habitat. 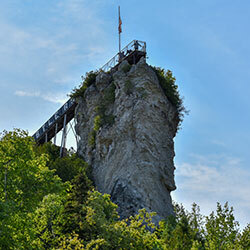 The lookout point is equipped with viewing binoculars for a spectacular view of the area. Our gift shop features a birch bark ceiling and walls hand crafted by local Native Americans in the early 1950's. Toll: $2 per axle for passenger vehicles ($4 per car). $5 per axle for motor homes, and commercial vehicles. The Mackinac Bridge is a suspension bridge spanning the Straits of Mackinac to connect the Upper and Lower peninsulas of Michigan. 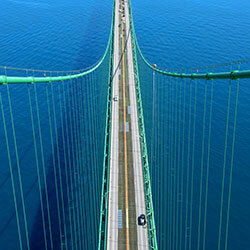 Opened in 1957, the 8,614-foot "Mighty Mac" is the world's fifth-longest in total suspension and the longest suspension bridge between anchorages in the Western hemisphere. The Mackinac Bridge connects the city of St. Ignace on the north end with the village of Mackinaw City on the south. 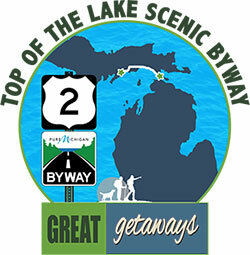 While traveling the scenic byway there are many opportunities to safely pull over, get out of your vehicle, grab your phone, camera and binoculars to take in resplendent views of the lake, islands and points of interest like the Gros Cap and Saint Helena Island Overlook 8 miles west of St. Ignace. Lehto's Pasties was started in 1947 by Mr. Lehto after he served in WWII and was honorably discharged from the army in 1946. It is one of the Original Famous Pasty Shops located in Michigan's Upper Peninsula. Lehto's is still family owned and operated to this very day by John and Katherine, along with niece Laurie and her husband Bill Walker. One of only two cantilevered deck truss bridges in Michigan, it is 641 feet long and contains 888 tons of structural steel. The State Highway Department designed this structure, and W.J. Meager and Sons, Contractors, built it. Unique bridge with panoramic views of Lake Michigan, walking paths and access to Cut River and lake via scenic staircase. Great views in all seasons. 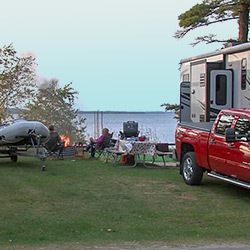 Hog Island Point State Forest Campground sites available on a first-come, first-serve basis. No reservations. 50 sites able to accommodate 40-ft vehicle/trailer. Located just off US-2 along Lake Michigan with beach area and fishing access. Rustic campground includes vault toilets and potable water from well hand pump. Location: seven miles East of Naubinway via US-2. Tucked away just 35 miles west of the Mackinac Bridge on U.S. 2 and the big blue of Lake Michigan, travelers will find a neat white row of cottages and a cozy country store. Opening the door to the store is like stepping back in time. 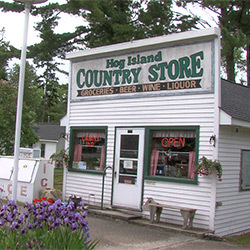 Owners Tom and Sandy Jacobs invite you to browse the many unique Upper Peninsula items that can be found there, from homemade jams and jellies, smoked fish, pasties and just about anything else a weary — or thirsty — traveler may need. You know when you are in the upper peninsula and traveling along the scenic byway there are distances between towns and facilities. 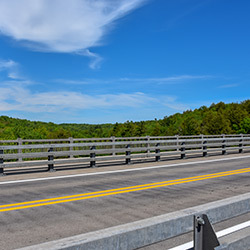 Whether you need the restrooms or not, the halfway rest stop offers a scenic overlook of Lake Michigan in the midst of a lushly forested setting. 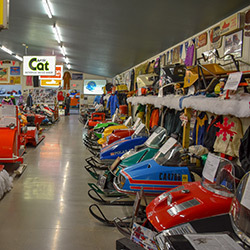 The Top of the Lake Snowmobile Museum is a non-profit, 501c3, antique, vintage and classic snowmobile museum in Naubinway, Michigan.The museum, fundraisers and events provide a one-of-a-kind experience for people of all ages. The U.P. Sugar Shack is a Majszak family business started in 1967. Mark Majszak bought the business in 1996 and moved to the Upper Peninsula, looking for a spot where people travel, a spot that was easy to find and a spot with plenty of maple trees. Historic Blaney Park is perfect in every way. 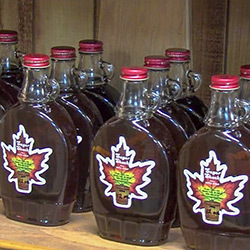 It takes about 40 to 45 gallons of maple sap to make one gallon of Pure Maple Syrup. The U.P. Sugar Shack carries 100% Pure Maple syrup, maple sugar, maple spread, Michigan Honey and homemade jams! Enjoy Real Michigan Maple Syrup....nothing added, only water removed from the maple sap. Truly a sweetener you can trust. Enjoy the delicate, distinctive taste of pure maple syrup, direct from the family farm. Boating Access Site: Lat: 45.987867, Long: -86.042474 A hard-surface ramp with sufficient water depth and lake or impoundment size to accommodate all trailerable watercraft (minimum of 2.5 - 3 feet deep at a distance of 20 feet from shore). The site is signed. Gulliver Lake can be described as a pristine lake teeming with fish waiting to be caught. Game fish that can be found at Gulliver Lake include Bluegill, Northern Pike, Pumpkinseed, Rock Bass, Smallmouth Bass, Walleye and Yellow Perch. Seul Choix Point Lighthouse (pronounced SIS-SHWA) in nearby Gulliver, Michigan was built to light the way for the increasing number of vessels carrying the iron ore that was being shipped out of Escanaba, MI. Seul Choix Point Lighthouse is now a community park for everyone to enjoy. 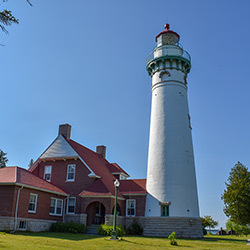 Built in 1895 this light, whose name is French for "only choice", was once the center of a thriving fishing community in the only harbor of refuge along this stretch of Lake Michigan. Today, the lighthouse complex is the only thing that remains active.